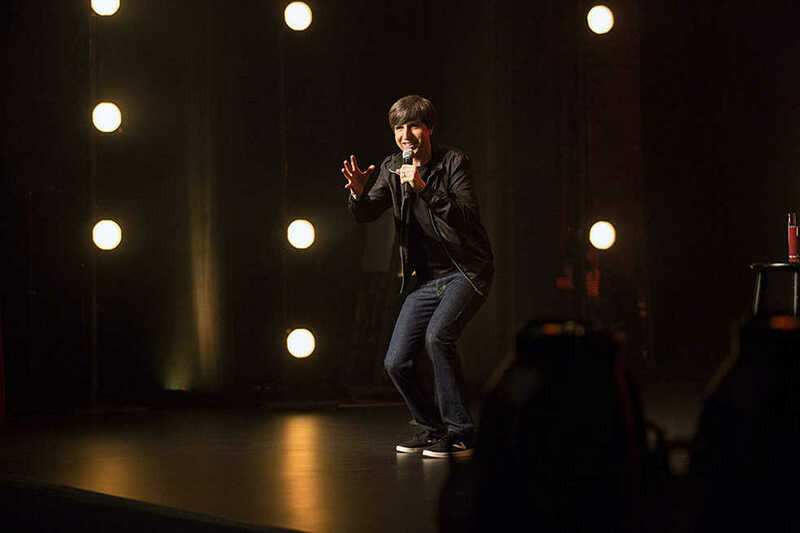 Comedian Demetri Martin has not ventured too far into the public consciousness since the release of his 2015 Netflix special “Live (At the Time).” His voice has graced Cartoon Network’s “We Bare Bears” since 2014 and his directorial debut hit the festival circuit in 2016, but fans of Martin’s unique comic style have had very little content to whet their appetites in recent years. Thanks to Netflix’s recent focus on standup content, Martin released his second special on the platform, “The Overthinker”, in early August. If fans expected any change in Martin’s comedic style since his last special, they’ll end up sorely disappointed by the time the credits roll on his newest hour. Martin’s scatterbrained machine-gun one-liners once again dominate the show, which is to be expected; the man built his career off of a quirky, fast-paced and quick-witted style. That being said, the “observations” made in his bits seem to echo those from his previous special almost verbatim, making the performance less interesting and impressive. At times Martin even seems to directly rehash old content, giving his newest special the feeling of a Mad-Lib variation rather than a brand-new hour of comedy. When it doesn’t feel like a rerun, “The Overthinker” does a lot of things right. Martin is in top form, more confident on stage than in his previous outings but not enough to compromise his “awkward” persona. When he strays from the one-liner format to tell a more traditional long form joke, he manages his economy of words perfectly and keeps the pace engaging throughout. In fact, one of the special’s highlights comes during an uncharacteristically long story about gluten-free toast. Martin’s guitar makes an appearance as well during a bit that carries over from his previous specials. Although his “songs” simply consist of jokes told over a repeating chord progression, it manages to break up his sometimes frustrating lack of cohesion. He also introduces an older bit that was missing from his first Netflix special: a large drawing pad simply labeled “drawings.” Martin provides a commentary over a series of poorly drawn figures and charts, allowing the whip-smart standup to fully flex his complex comedic mind. Some of the special’s best moments come from the interplay between his poor quality art and his formidable wit, though the bit was short and the drawings were unfortunately in short supply. Martin has never been a political comic, and nothing has changed despite comedy’s current obsession with Donald Trump. In recent times, joking about the state and actions of the current administration has become the “tee ball” of the comedy world; virtually every Netflix special released this year has touched on the subject in one way or another. In this massive cloud of criticism, few comedians have been able to contribute anything new to the conversation on the administration and its actions, making much of the political comedy scene dull and repetitive. Rather than simply offering the same stale diatribe that audiences have suffered through over and over again since 2016, Martin shows with “The Overthinker” that he will always put the cerebral quality of his jokes over the cheap laughs that easy political content affords.